A strong regular season sent Olympiacos to the Top 16 as the first-place team in Group D. the Reds opened the Euroleague season with six consecutive victories and never looked back until clinching the top spot. Star guard Vassilis Spanoulis played – as always – at full throttle. He earned bwin MVP for October honors and led his team in scoring (17.5 ppg.) and assists (5.2 apg.). Olympiacos boasts one of the best defenses in the competition; it limited opponents to 71.1 points per game an excellent 45.2% two-point shooting. MARK YOUR CALENDAR: Olympiacos has previously played against six of its seven opponents in Top 16 Group F, which will make its first game against Nizhny Novgorod, in Round 7, something special. The two teams will meet again in the Top 16 final round, in which could be a critical game. 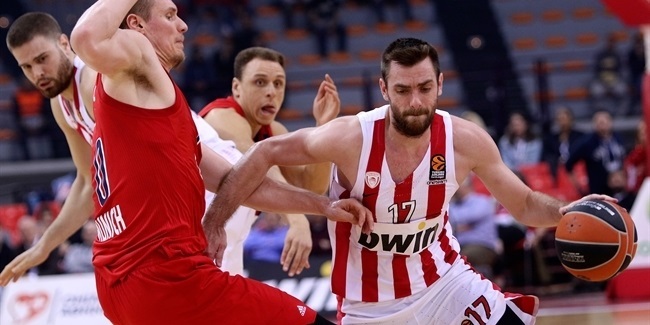 Olympiacos is 4-0 at home and 6-2 overall against Russian teams other than CSKA Moscow. Only one Olympiacos player, Oliver Lafayette, has played against Nizhny before - with Valencia Basket in last season's Eurocup semifinals. 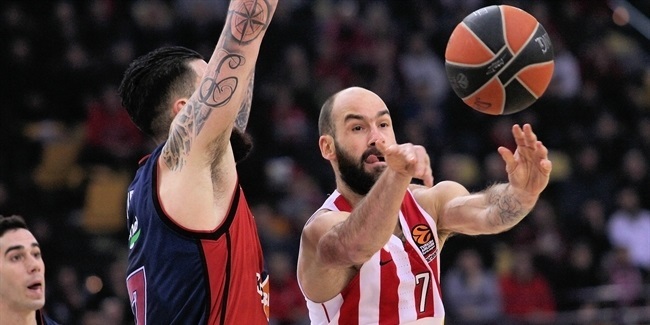 GOING FORWARD: Olympiacos has been battling injuries all season; Georgios Printezis has not played yet in this Euroleague campaign, Tremmell Darden and Matt Lojeski were sidelined for several weeks and only six players took part in all 10 games. The Reds allowed 12 offensive rebounds per game and were a bit off-target from the free throw line (69.5%). 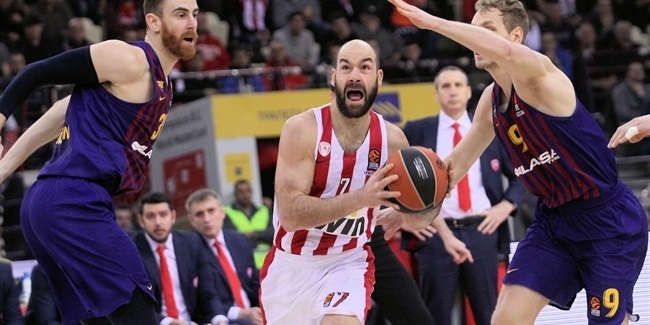 A coaching change always bring an adjustment period, so Olympiacos should only be better in the Top 16, when it has all of its main players available.